The BYD C6 is a fully electric midibus manufactured by Chinese company BYD, which specialises in electric vehicles and new energy solutions. 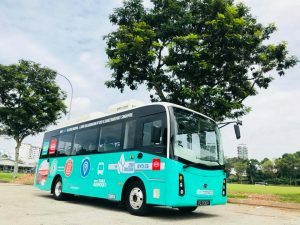 The bus design incorporates large-capacity Lithium-Iron-Phosphate batteries which allow the bus to travel more than 200km on a single charge, under urban road conditions. 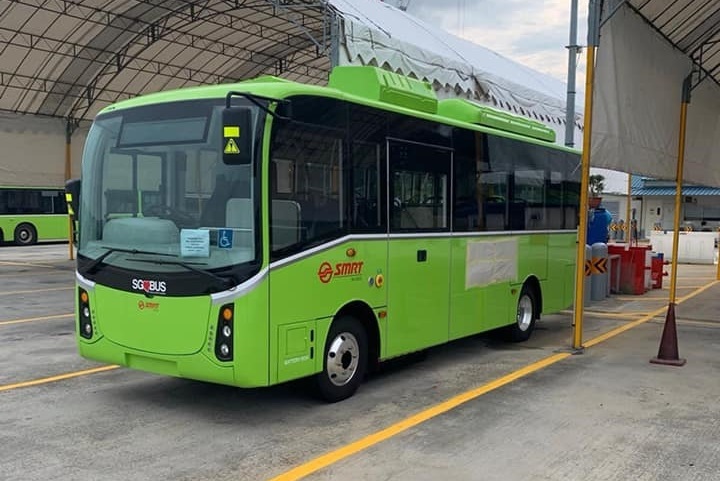 Private operators ShareTransport and Grab first trialled the BYD C6 back in 2018, and four units are expected to enter service with SMRT Buses in the near future, destined for SMRT Bus Service 825, the only public bus service in Singapore operating using shorter-length buses. 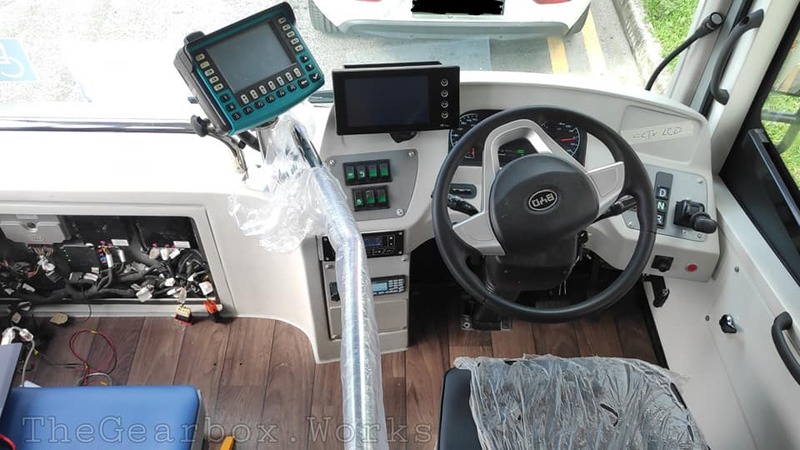 As of mid-March 2019, the buses are undergoing inspection and fitting of revenue service equipment. The bus model was incorrectly reflected as the BYD D6R from delivery documents attached to the vehicle — these vehicles were later registered as BYD C6 vehicles. 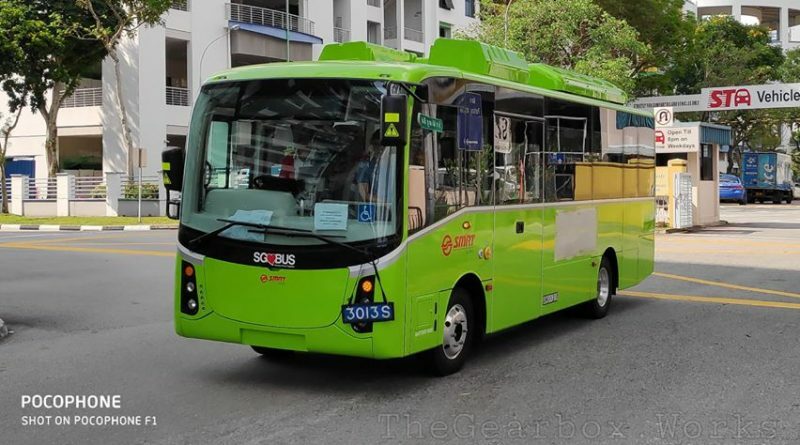 In early 2019, BYD (Singapore) Pte. Ltd. took delivery of four BYD C6 buses configured as public buses for revenue service. 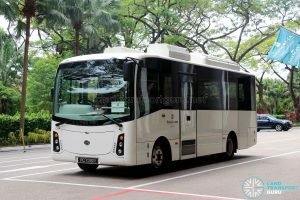 They were leased to SMRT Buses, and are destined for SMRT Bus Service 825, the only public bus service in Singapore operating using shorter-length buses. 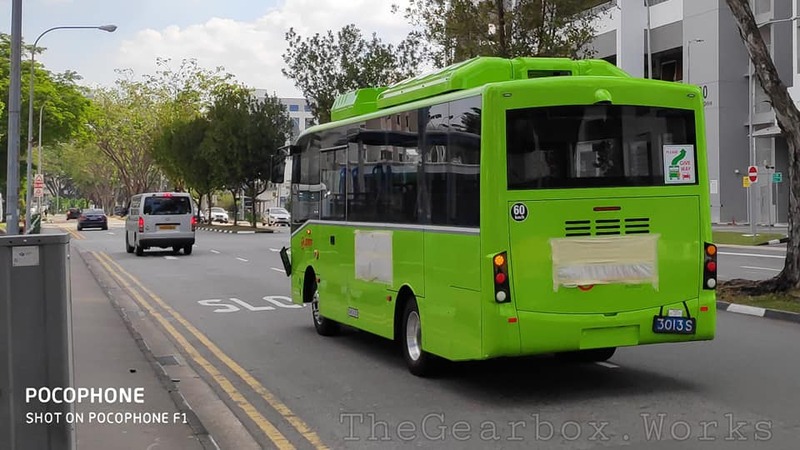 These buses were bodied in Malaysia by Gemilang Coachworks, and were delivered in LTA’s Lush Green livery. One unit was registered as PC7991M in March 2019. These buses are owned by BYD (Singapore) Pte. Ltd. and leased to SMRT Buses. The bus combines forward-facing seats on the left side with side-facing seats on the right side and a central aisle running the length of the bus. All seats also have hand grips to provide commuters with additional support while moving within the bus. Emergency hammers are mounted on pillars in-between windows. 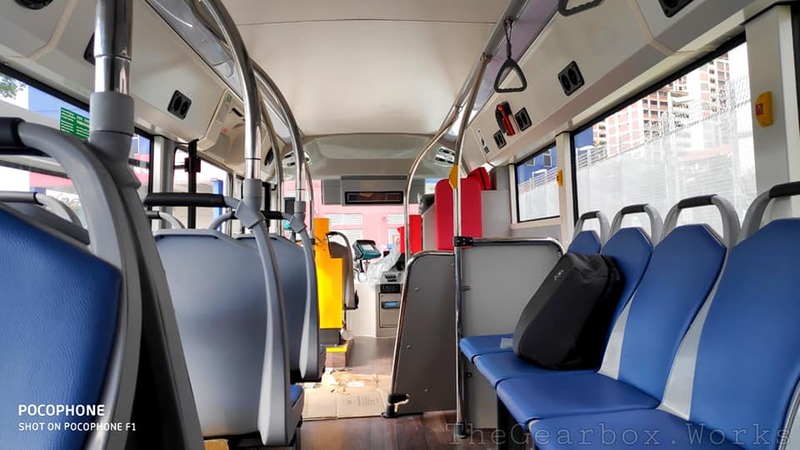 The BYD C6 features an emergency door located at the rear offside of the bus. Formerly a mandated safety feature on buses, these have largely been replaced with emergency hammers as a means of emergency egress, with the former Volvo B10M-60 (Mark IV) (Walter Alexander Strider) buses being the last public buses to feature them. In addition, the BYD C6 is wheelchair-accessible via a wheelchair lift located at the passenger entrance/exit door. A single wheelchair bay is opposite the entrance/exit door. 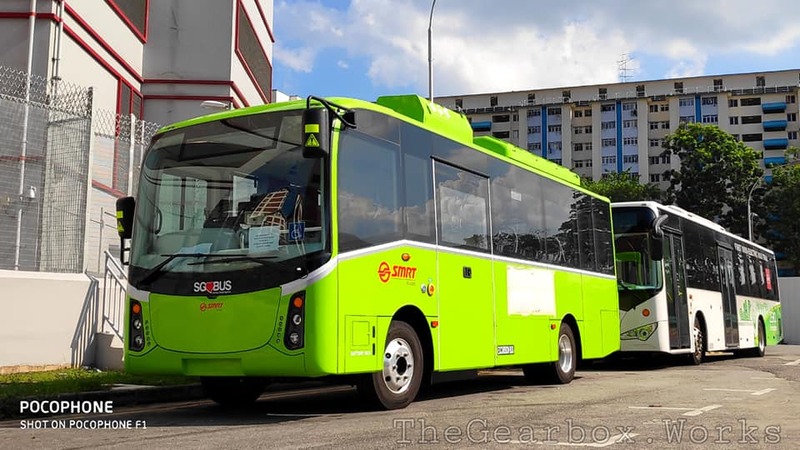 Two other BYD C6 buses entered service in 2018, with Singapore-based private bus operators. Very cool! Wonder if it can expand to more existing and new bus routes in the future – 150, 42 and some new routes serving some private estates maybe? If I’m not wrong, this bus may have more seating capacity than the buses that are currently on bus service 825. 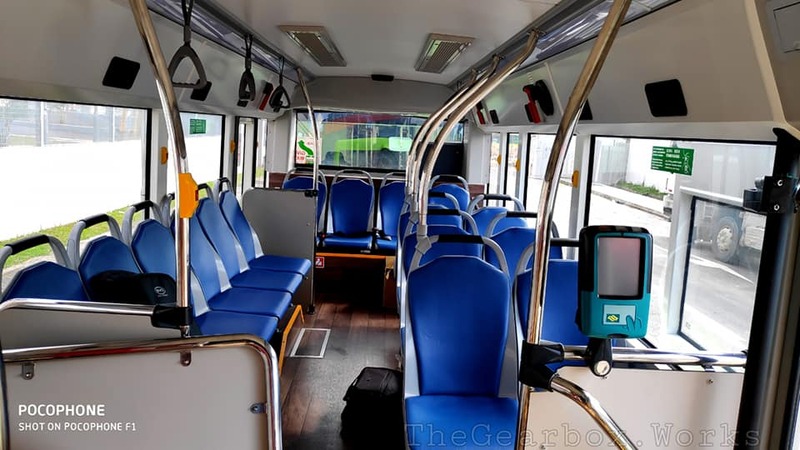 The Mitsubishi Fuso Rosas used on 825 has a seating capacity of 24 people, which is 4 more than this BYD D6R, though this bus can fit in one wheelchair user and can probably fit more than 6 standing passengers, which is the standing passenger capacity of the Rosas. True but this is a non carbon emission vehicles.The future is on electricity vehicles(non carbon emission vehicles) but sadly,Singapore can’t adopt new changes very quickly like Tesla cars in singapore.